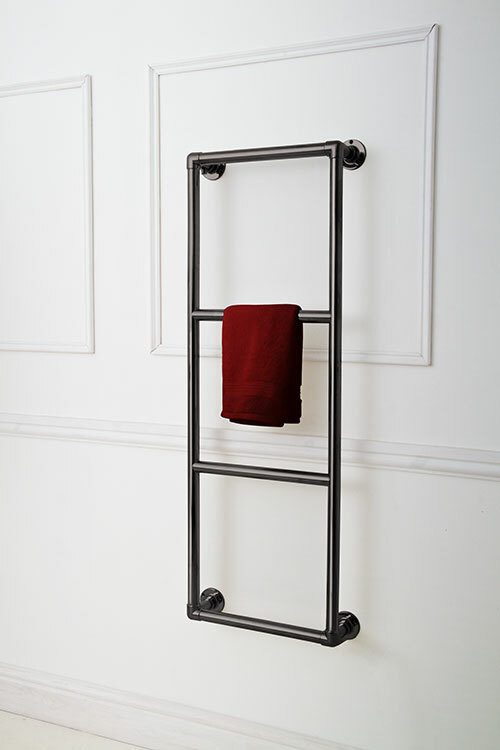 With a shape inspired by traditional bathroom towel rail designs, this black chrome heated towel warmer is a stylish mix of classical and contemporary design. 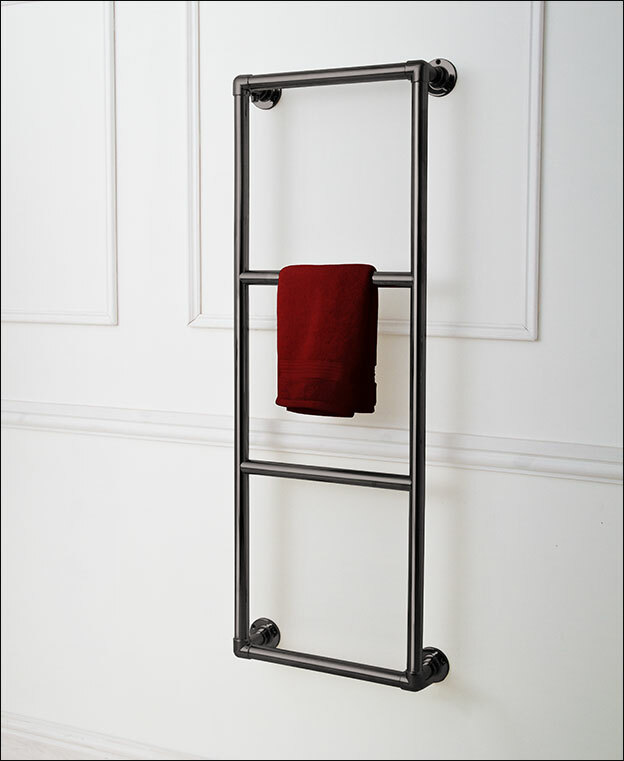 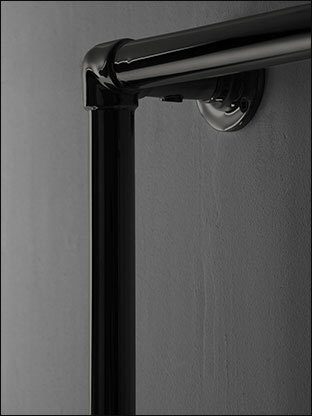 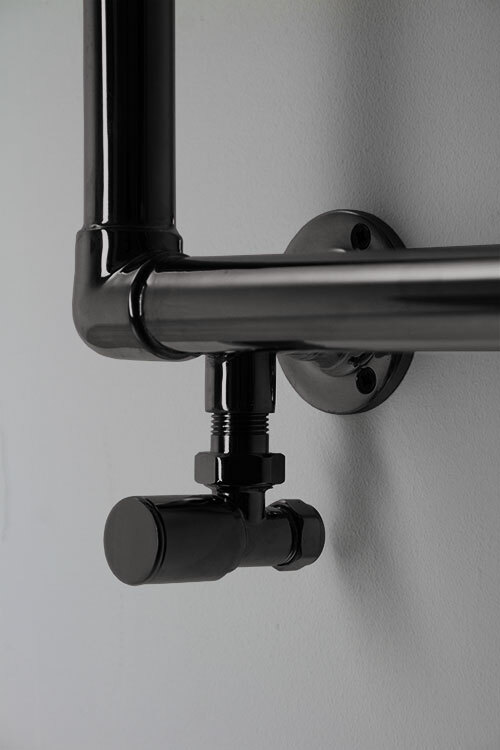 This wall mounted towel rail has a high quality stainless steel body with a durable black chrome finish, for superior quality and longevity. 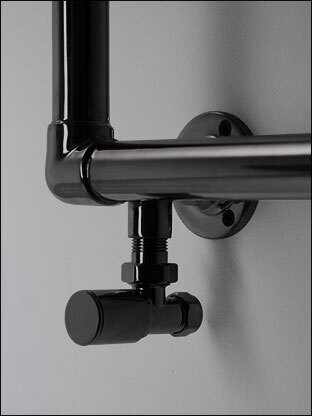 Available for central heating, electric or dual fuel heating systems. 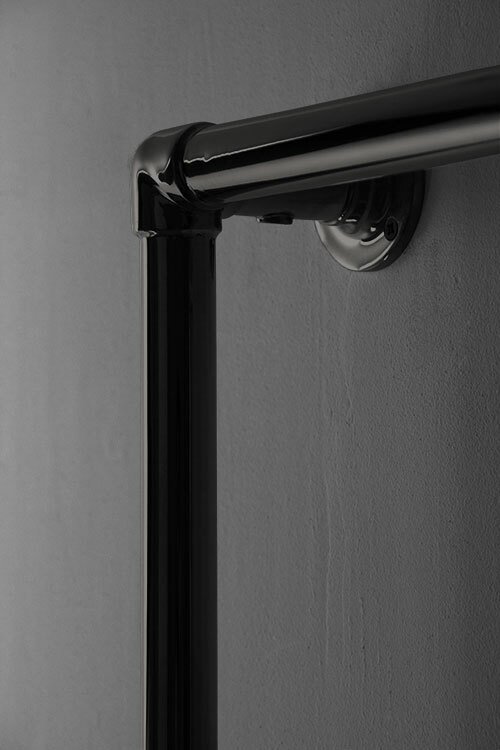 • British designed and made.